For many skilled skiers and snowboarders, the best thing about skiing in Val d’Isère is that it has one of the world’s biggest off-piste ski areas, which is not restricted to fitness fanatics with special equipment. 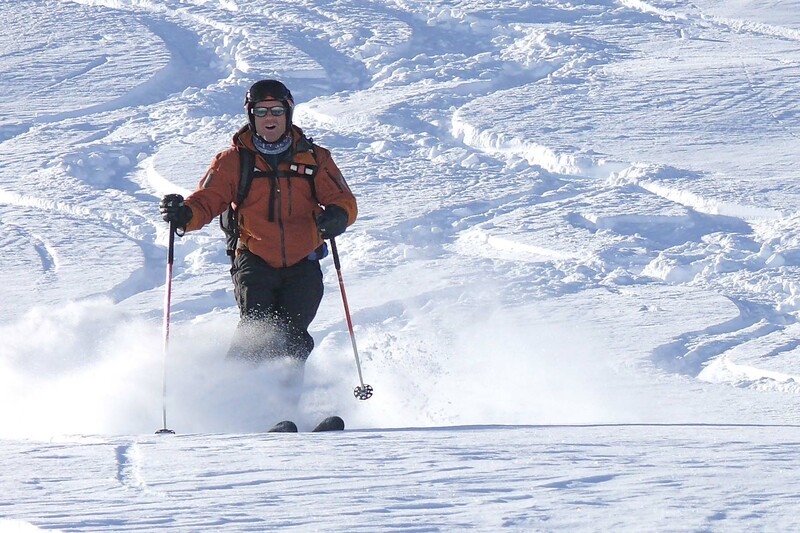 Even quite a modest skier can reach thousands of acres of powder straight from the lifts. And although the most accessible slopes are quickly tracked out, a good guide can find fresh powder or velvet spring snow days after the last fall. Several ski schools specialise in guiding small groups off-piste, which individuals can join. They go off to find postcard powder, virgin spring snow and thousand-metre drops down untracked mountainsides to villages from which they helicopter back. Security is taken very seriously. Long-term Val d’Isère resident Henry Schniewind runs his weekly ‘Henry’s Avalanche Talks’, dedicated entirely to keeping you safe off-piste, with lectures and discussions of snow safety and lessons on using transceivers. 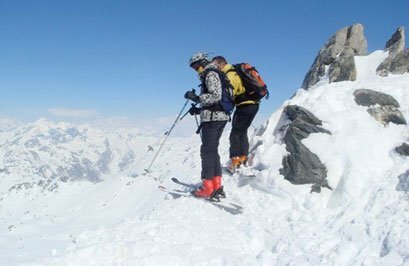 There is no alternative to hiring a guide from one of the many ski schools in Val d’Isère – particularly the off-piste specialists and guides as shown on this website under Ski Schools.